Cathedral announce re-issue of ‘In Memoriam’ via Rise Above Records. Rise Above Records has just re-issued the debut recording from legendary doom pioneers Cathedral. ‘In Memoriam’ was recorded and originally distributed in late 1990, prior to the seminal band writing their debut full length ‘Forest of Equilibrium’. The original version of the demo was self-released on cassette with photocopied covers, however the demo has been updated for the 2015 reboot, with bonus tracks, extensive liner notes, and a bonus DVD. ‘In Memoriam’ was recorded with the very first Cathedral line up, marking the first recorded collaboration from long standing writing partners, Lee Dorrian and Gaz Jennings. This cult recording is the sound of a young band exploring its newfound chemistry; finding confident variations on a flawless list of influences and cultivating a sound and style that would prove hugely inspirational throughout the 1990s and beyond, being a major influence on everyone from Electric Wizard through to Reverend Bizarre. Where most demos are little more than a dry run for the following album,’ In Memoriam’ still has its own distinct and important identity in the Cathedral canon. ‘Forest Of Equilibrium’ has a sombre, devout, melodic and mystical grandeur all of its own – but ‘In Memoriam’ has a far murkier, earthier, more deathly intent. Creepy, cryptic and bowel-looseningly heavy, it represents the first time that the doom metal stylings of Trouble, Saint Vitus, Pentagram and Witchfinder General had been rendered in a new, more extreme metallic form. 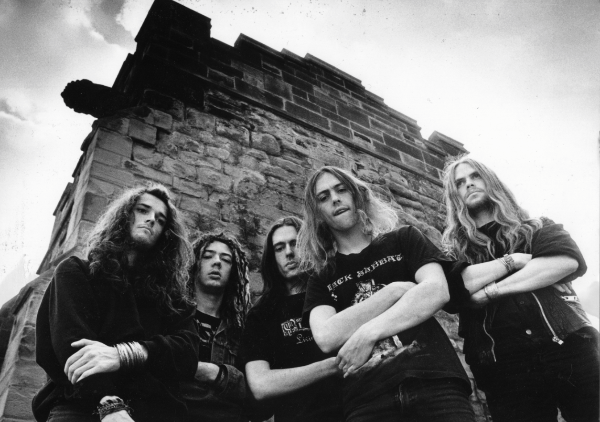 At the beginning of the new decade, it was really only Cathedral who were proud to assert the influence of true doom metal – a perennially unfashionable genre, but especially in a turn-of-the-decade metal scene so obsessed with speed, technicality, brutality and modernity. The CD version of In Memoriam comes with a bonus DVD featuring a rare live performance filmed in Groningen, The Netherlands in 1991, plus a booklet with extensive notes and rare photos. The vinyl edition comes as a double 180gm LP in a gatefold sleeve, with a full size eight page booklet. There are clear (100), black and white mixed (200), black (500), clear and black mixed (500), and purple (1000, US edition) versions of the vinyl.